Let's Create a Memory or Two! 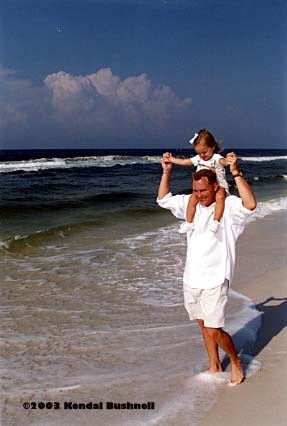 At your home, on the beach or at your dream location from Apalachicola to Pensacola and beyond, let Photography by Kendal capture your memories to enjoy for years to come! Book your outdoor portrait session by calling 850.913.1515 or 850.624.8391 or e-mailing us today! Thank you Georgia residents, the Buchanan's! See you next year! All text and images ©2003 Photography by Kendal and Kendal Bushnell. All Rights Reserved.